Situations and needs in the engineering sector can change at a moments notice. Contract recruitment gives clients a completely flexible workforce that allows them to manage the peaks in their workload and supplement any skills shortages that may occur. This personal and comprehensive service is tailored to meet our client’s individual needs. 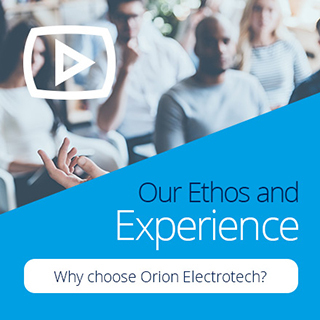 We also appreciate that financial difficulties can arise during these situations, Orion has therefore introduced individual short term or multiple long-term assignments that can be managed on an hourly/daily rate to enable cost and budgetary control. As with all placements a proven vetting system including reference checking, trades testing, qualification, visa and work permit verification, drugs and alcohol testing is also in place to ensure the highest quality candidates are placed. Contractors and temporary workers also benefit from our contract recruitment services with weekly payments transferred into your bank, an in-house payroll service not subcontracted out to a third party, a diverse range of clients nationwide, regular onsite visits to ensure you are entirely happy with the service you receive and more. As a business we also support most forms of temporary and contract workers PAYE, Limited Company, VAT Registered, Sole Trader, CIS and all Inland Revenue approved Umbrella schemes. We aim to ensure that our clients have to worry about as little as possible, finding a new role can be stressful enough without worrying about mountains of paperwork!